Since I hear that so often, I have long thought that I need to try my hand at making my own super soft sugar cookies, just like Lofthouse. There are lots of copycat recipes online, but none of them felt quite right. First of all, a lot of them contain sour cream, heavy cream, shortening, etc. All things I do not normally associate with sugar cookies. Second, the ingredients are right on the package! 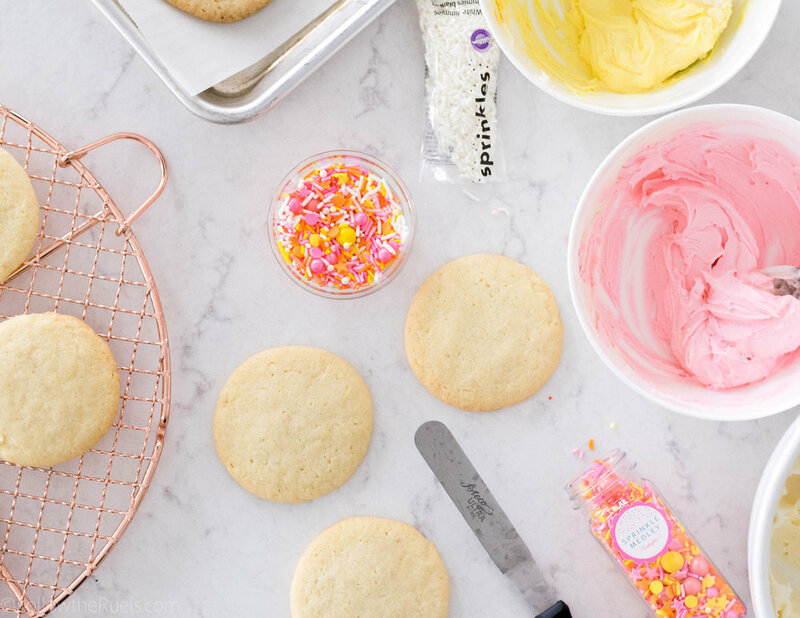 So we know exactly what goes into making those super soft sugar cookies! A quick Google search of "Lofthouse Cookie Ingredients" will direct you to Walmart's website where they list the very ingredients for the cookies we are trying to mimic. Ingredients:Sugar, Enriched Bleached Wheat Flour (Flour, Niacin, Reduced Iron, Thiamine Mononitrate, Riboflavin, Folic Acid), Margarine (Palm Oil, Water, Soybean Oil, Salt, Mono- & Diglycerides, Annatto Extract Color, Calcium Disodium Edta [Preservative], Artificial Flavor, Vitamin A Palmitate), Eggs, Corn Starch, Contains 2% Or Less of: Water, Vegetable Oil (Palm Kernel Oil And/Or Palm Oil And/Or Partially Hydrogenated Vegetable Oil [Cottonseed And/Or Soybean Oil]), Dextrin, Soy Lecithin (Emulsifier), Natural & Artificial Flavors, Skim Milk, Confectioner's Glaze (Lac Resin), Leavening (Baking Soda, Sodium Aluminum Sulfate, Monocalcium Phosphate), Colors (Carmine (Color), Red 3, Red 40, Blue 1, Blue 1 Lake, Blue 2, Blue2 Lake, Red 40 Lake, Yellow 5, Yellow 5 Lake, Yellow 6, Yellow 6 Lake), Carnauba Wax, Food Starch-Modified, Polysorbate 60, Sodium Propionate (Preservative). Contains Egg, Milk, Soy, Wheat. Manufactured In A Facility That Processes: Peanuts, Tree Nuts. Ok, some of the ingredients look like things you would find in your high school chemistry textbook, but actually most of it is stuff you would probably already have at home. Sugar - well, that's an easy one. Sort of....is it granulated sugar, caster sugar, or confectioners sugar? I am going to guess since it's listed first (and ingredients are always listed in descending order by weight) that it is both granulated (for the cookie) and confectioners sugar (for the icing). Enriched Bleached Wheat Flour(Flour, Niacin, Reduced Iron, Thiamine Mononitrate, Riboflavin, Folic Acid) - This is actually cake flour. The cake flour helps make these cookies extra soft and light! Margarine(Palm Oil, Water, Soybean Oil, Salt, Mono- & Diglycerides, Annatto Extract Color, Calcium Disodium Edta [Preser vative], Artificial Flavor, Vitamin A Palmitate) - Another easy one. I bet margarine is both used in the cookie and the frosting. However, I also bet that it is used instead of butter because it's cheaper and more shelf stable. Butter will actually yield a more tender cookie, which is exactly what we are trying to achieve. Corn Starch - Another deceiving ingredient. Is it for the cookie or the icing? Since confectioners sugar is a mix of very fine sugar mixed with cornstarch, I am going to guess this is part of the confectioner's sugar that goes in the frosting. Water - This one is tricky. I know I add a bit of water to buttercream to help loosen it a bit, so maybe that's what it's for. Vegetable Oil(Palm Kernel Oil And/Or Palm Oil And/Or Partially Hydrogenated Vegetable Oil [Cottonseed And/Or Soybean Oil]) - This is another tricky one. Oil is sometimes added to cookies to make them a bit more tender. And since these cookies are definitely tender, I'll bet it's added to the cookie dough for that very reason. Dextrin - This is a thickening agent that is probably used for the icing so that it stays on the cookie and doesn't melt or slide off. Soy Lecithin(Emulsifier) - If you read your labels carefully, you will realize that this ish is in everything! As you can tell by the parenthetical it is used as an emulsifier so that the water and fats stay together and don't separate. Probably for the icing. Natural & Artificial Flavors - While they don't explicitly say what flavors (gotta keep some secrets), it's almost certainly vanilla and maybe almond extract. Skim Milk - The use of skim milk surprises me since I find that whole milk is certainly better for baking. But I am not exactly sure where it fits in. I'll bet that it's in the dough as another way to keep the cookies moist. If it were added to the frosting, it wouldn't be shelf stable. Confectioner's Glaze (Lac Resin)- This is a baking wax that helps certain ingredients set, like butter, margarine, or chocolate. I'll bet this is used to help keep the frosting shelf stable. Leavening(Baking Soda, Sodium Aluminum Sulfate, Monocalcium Phosphate) - We all know what baking soda is, but what about those other two items? Guess what, that's baking powder! Sodium Aluminum Sulfate and Monocalcium Phosphate are the compounds that make baking powder. And we know, specifically, a baking powder that contains aluminum. And that's about where I am going to stop because the rest of the ingredients are just the colors to help the cookies look a certain way. But holy cow, that is a lot of ingredients for a simple cookie, right? And you know what I didn't see on that list? Sour cream, heavy cream, or shortening. Actually, most of the ingredients look like the very same ingredients in my favorite sugar cookie recipe. Shocking! Okay, now that we know what ingredients go into the cookies we can figure out how to actually make them! Lucky for you, I've already done that part. First, cream together the butter (or margarine) and sugar making sure to get the butter super light and fluffy because the air bubbles will help to keep the cookies pillowy soft. Next add in the oil, milk, and egg. The oil and milk add a bit more fat and moisture to the cookies so they don't dry out as much. Then add in the vanilla and almond extracts for flavor. The last step is to mix in the flour. I strongly encourage you to use cake flour instead of all-purpose flour because it does make a huge difference. Regular all-purpose flour has a higher protein content than cake flour which means that it can become a bit tougher and crunchy. That's perfectly fine for any other cookie, but not these. You want them to be super soft! So go with the cake flour! For even more airiness, sift the flour, baking soda, and baking powder into the bowl then mix everything together until just incorporated. The best part about these cookies is that they require no rolling out or cutting. Just scoop out balls of dough, roll them between the palms of your hands, then press them down to flatten ever so slightly. Bake the cookies at 325 for about 12 minutes, until they are just barely starting to brown around the edges. Now, resist the urge to scarf down a cookie immediately out of the oven. Actually, while they are warm, you may think they are TOO soft! They will just fall right apart. But once they cool, they will be perfectly soft and pillowy in the center, with a slight crunch around the outside. While you wait for them to cool, you can make your frosting. The Lofthouse cookie frosting is obviously made with lots of stabilizers and preservatives, as we can see in the list above. That is needed for those cookies since they sit on the shelf for God knows how long before we actually buy them and eat them. 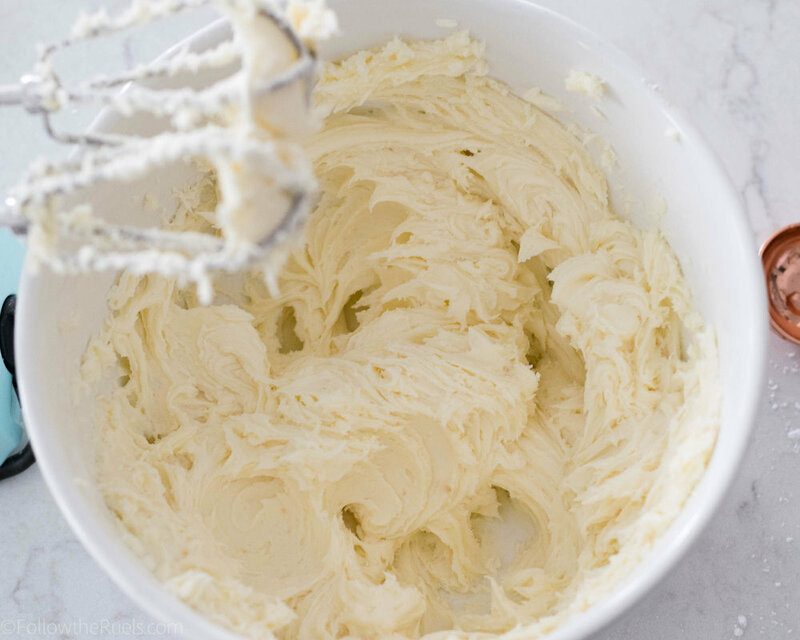 Since I certainly don't bake with dextrin and soy lecithin, and I assume you don't either, we are just going to make a classic American buttercream to add to the top of our cookies. To make the frosting, beat together soft butter, powdered sugar, vanilla, and a bit of water until super creamy and fluffy. If it's too dry or crumbly, add a bit more water. If you want to add some color to your frosting, add a couple drops and mix in. Then spread the frosting over top of the cooled cookies and decorate however you like! I like to top off my frosted sugar cookies with some sprinkles because that's how you would find them in the store. Now they are especially fun and festive. I know, I rolled my eyes at myself. The real secret ingredient, in my opinion, is the lack of additives and preservatives. There is just something about a cookie you know isn't going to last for weeks that just tastes so wonderful! 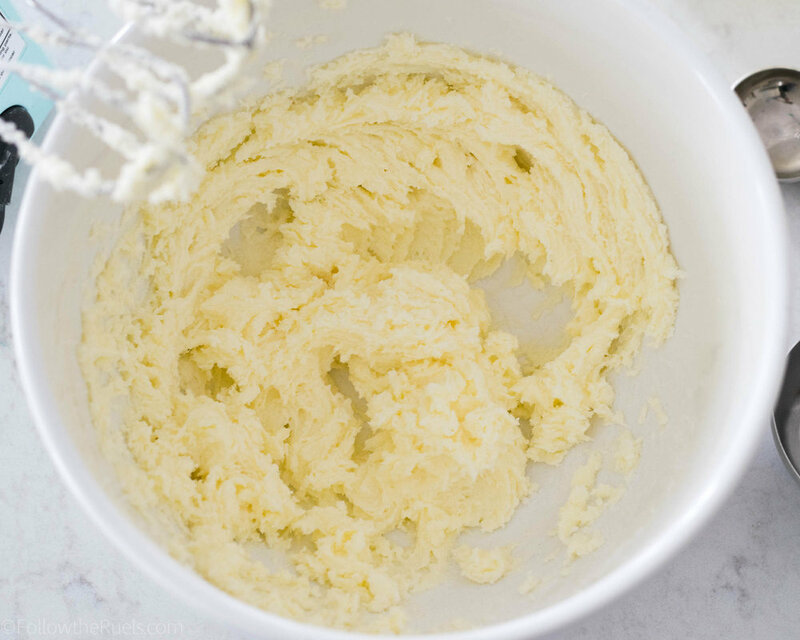 In a large mixing bowl, beat together butter and sugar until light and fluffy. About 1 minute. Mix in egg, oil, and milk until combined. Mix in extracts. Sift flour, baking powder, and baking soda into the mixing bowl with the butter and sugar. Mix until all flower is incorporated with the rest of the ingredients. Using a spoon or cookie scoop, portion out equal-sized balls of dough, roughly the size of a golf ball. Roll the dough ball between your palms, then lightly press the ball down on the pan to flatten it. Bake for 12 to 15 minutes, or until barely brown around the edges. Remove from oven and let cool on the pan for 5 minutes before transferring to a wire rack. In a large bowl, mix together butter, powdered sugar, vanilla, and water until completely smooth and fluffy. About 2 minutes. Use gel food coloring to dye the desired color. Top with sprinkles of choice.